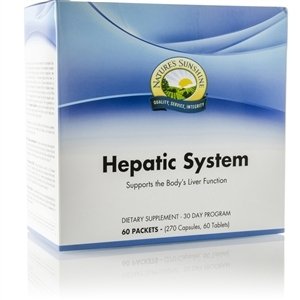 Supports the liver's functions and protects it against toxins. Supports elimination processes and helps remove toxins from the body. Milk Thistle Combination provides nutrients and antioxidants that support and protect the liver and its functions. Silymarin in milk thistle helps the liver produce cells and helps stabilize liver cell membranes, which helps guard liver cells against toxins. Liver Balance TCM contains bupleurum, which is a Chinese œcooling herb� believed to help detoxify and replenish the liver, and to aid the upward flow of chi, thereby strengthening the body against stress. Other Chinese herbs in this formula may support circulation, digestive fluids and general energy. Psyllium Hulls have a remarkable ability to absorb water and help absorb bowel toxins. They also slow the absorption of dietary sugar and may help reduce the amount of dietary cholesterol in the bloodstream. Each AM packet contains 2 Milk Thistle Combination tablets and 1 Liver Balance TCM capsule. Each PM packet contains 6 Psyllium Hulls capsules. Take the contents of one AM packet in the morning with breakfast, and one PM packet in the evening with a meal. Follow this pattern for 30 days.